I took one clear, fresh, crisply a year or so old jar and, with my sea sponge, dabbed black paint on the bottom and then on the inside. I did it in flecks so it’d mimic dirt. I also painted some of the black paint in the outside the jar, especially on the lip, for extra dirt. For the cloudy exterior, take Elmer’s glue, dab it onto a paper towel, and rub that over the jar. 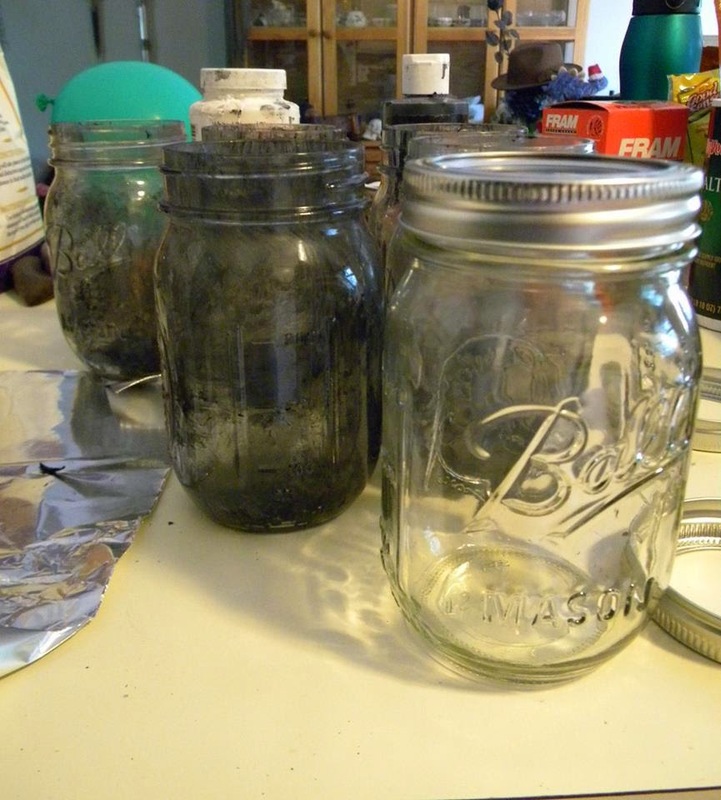 That really makes the jars look like you dug them out of the back of a rusted, haunted farmhouse. 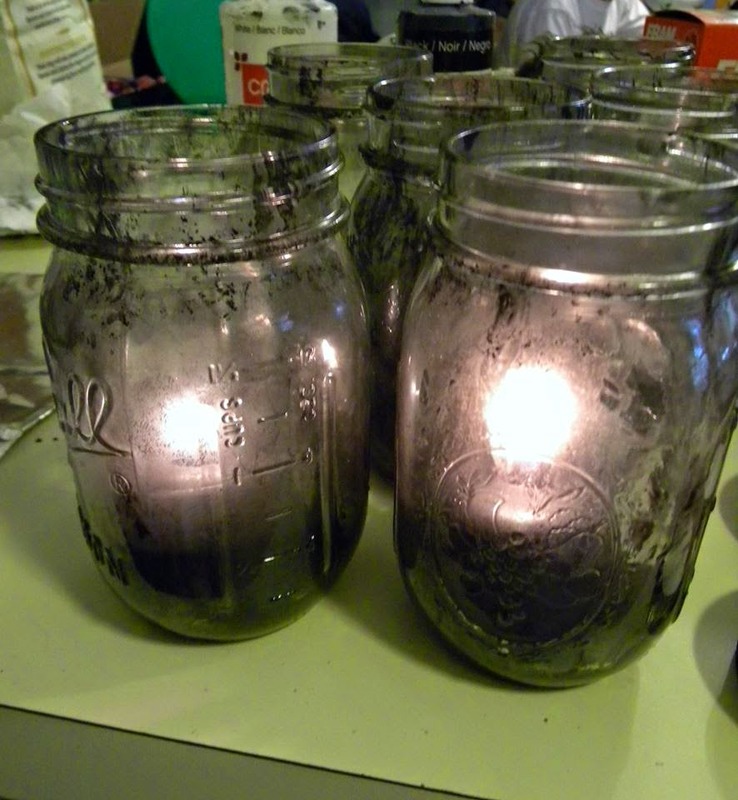 Here are the jars with the candles in them prior to me adding the glue. Here are the jars after the glue. The barely flickering one in the back has an electric tealight in it, while the others have real candles. The cheap ones do work, but the glow of course is nowhere near as powerful as an open flame. 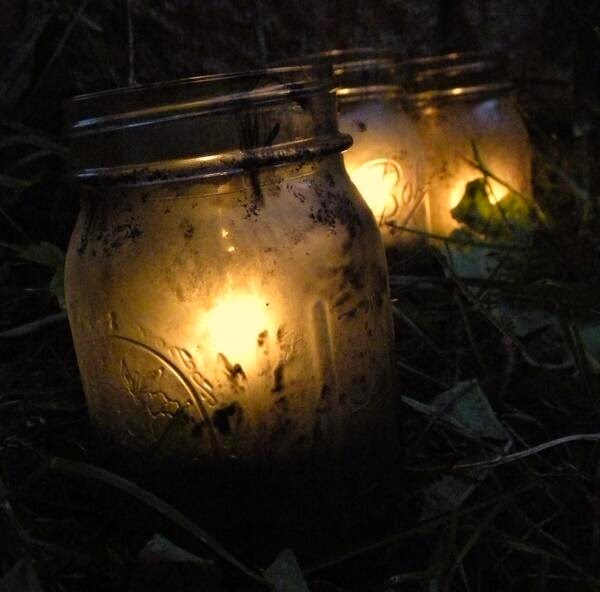 I think I’ll string a few on wire and hang them up high, while I’ll put electric tealights in the others and use them to light our steps for Halloween. 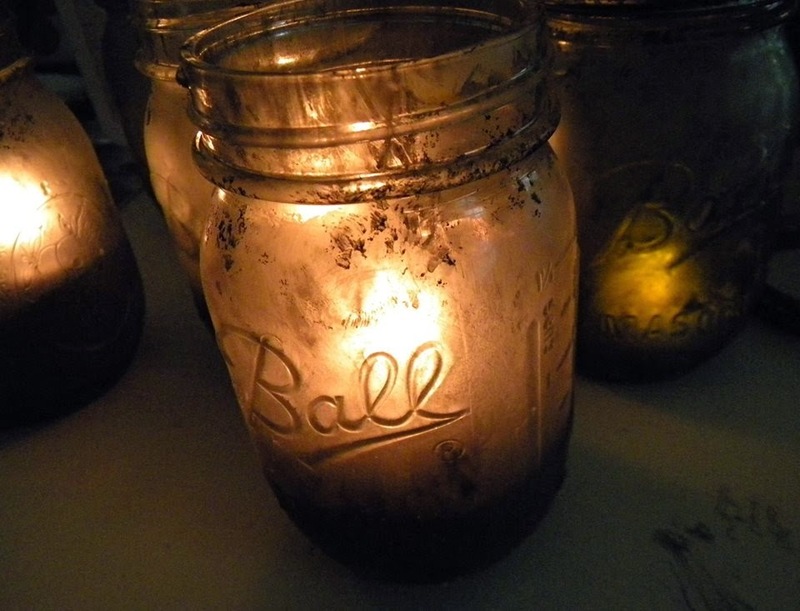 This is a crazy easy tutorial that anyone with too many damn mason jars can do.